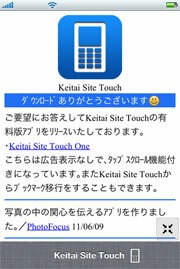 Keitai Site Touch is a simple browser application to which a mobile site in Japan can be displayed. 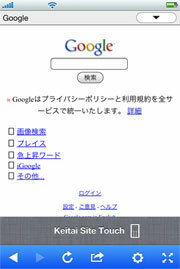 Japan's mobile phone to change the iPhone, please use it when want to browse the Keitai site. ※All sites such as sites where IP is limited are able not to be displayed.